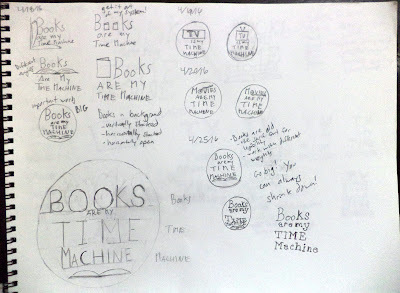 Sketching is the next stage in making a pinback button after brainstorming the concept. 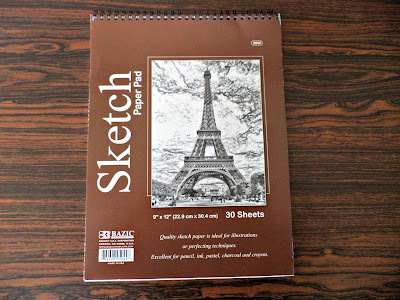 Before you sketch, you need to have some tasks done first. 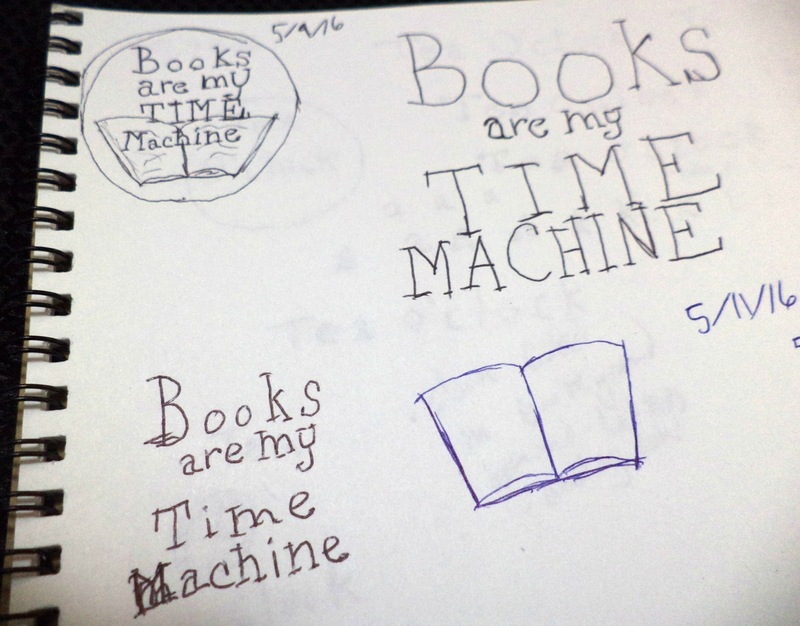 In my last article about brainstorming the concept, I explained that you need to have time set aside for sketching. If you don’t put it on the calendar then it won’t get done. Trust me on this! You will watch the TV show you wanted or check your email or check social media or clean the house. Then, before you know it, it’s bed time or you need to go to work and you won’t have your sketching done. I have my sketching time in the second half of my lunch break. I walk and eat for the first half. After my belly is full and no longer angry, I can settle down and sketch without anyone bothering me. I used to sketch at my desk but now I sketch at a table that’s around the corner. Now, my brain doesn't want to try and work on day job tasks while on my lunch break. My computer isn’t staring at me. I’m tucked away from everyone else. See about going to a coffee shop or sketching in your car. See what works for you! I’ll cover my sketching process in more detail down below. 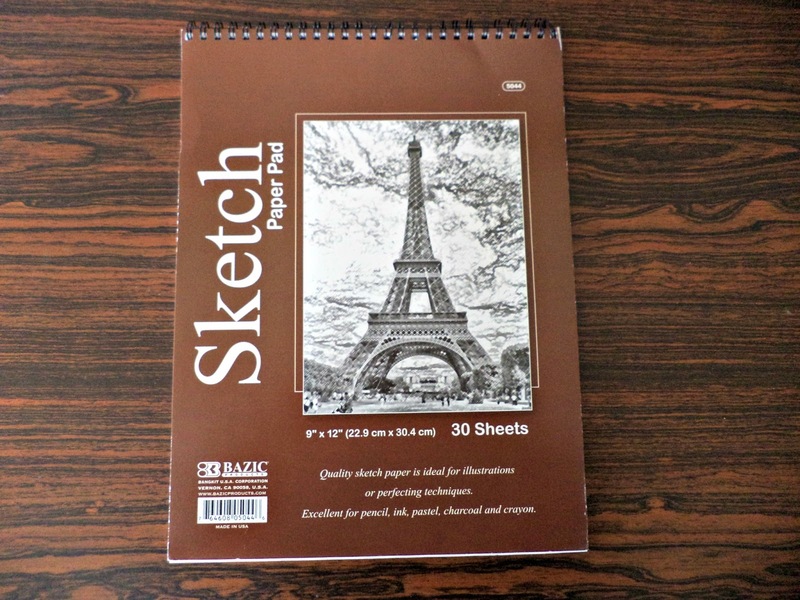 First, let’s cover the tools of sketching. The sketchbook I use is 9"x12" size. You can use something smaller but I find this size to work the best. I don't feel like I have to cram my sketches in a small space. The size works well for traveling too. I go back and forth between using a mechanical pencil or a pen. I prefer a mechanical pencil since my brain triggers that I'm sketching instead of making something more permanent. When I use a pen I find that my brain is more hesitant since I can't erase anything. 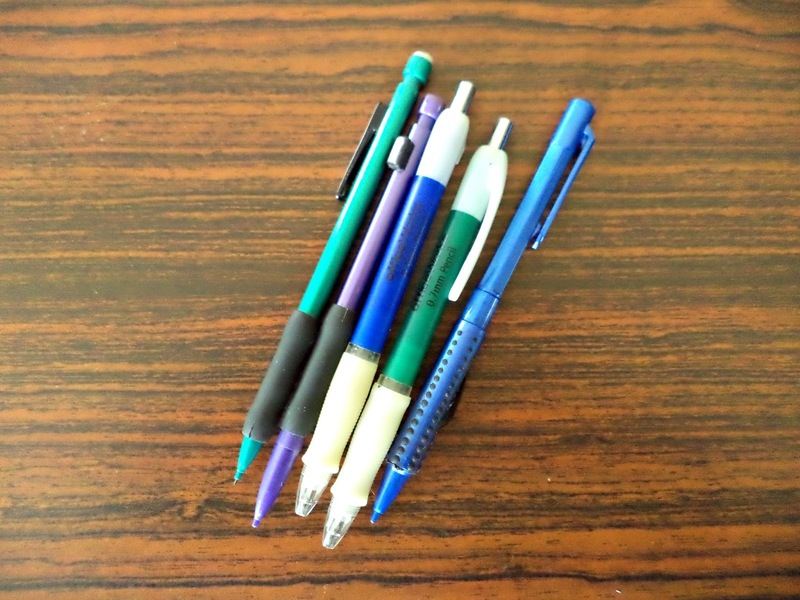 Sometimes I forget to bring my mechanical pencil so I just grab a pen from my day job desk. You notice that I don't have an eraser mentioned. When you first sketch something, you don't want to erase. You want to brain dump. I'll cover that next. You want to start out with sketching thumbnails. No one will see this unless you want them to. You can choose to put them in your case study if you want. You don’t have to. The client doesn't need to see this. Your friends don’t need to see this. I always date the page or the section of the page I'm working with as a reference. I like to know how long it took for me to get from the sketching stage to the final design stage. Start with the basic shape of the pin. Draw a circle that the design is going to be in. You want to make sure you do this so your brain knows the limitations it has to work with. I don't always follow this rule but I'm making more of an effort to do so. The more limitations you give your brain the more creative it is. Your brain is smart and it will come up with different ways of making content better than if you had the entire page to work with. Work with different angles of the focal point you’re designing. 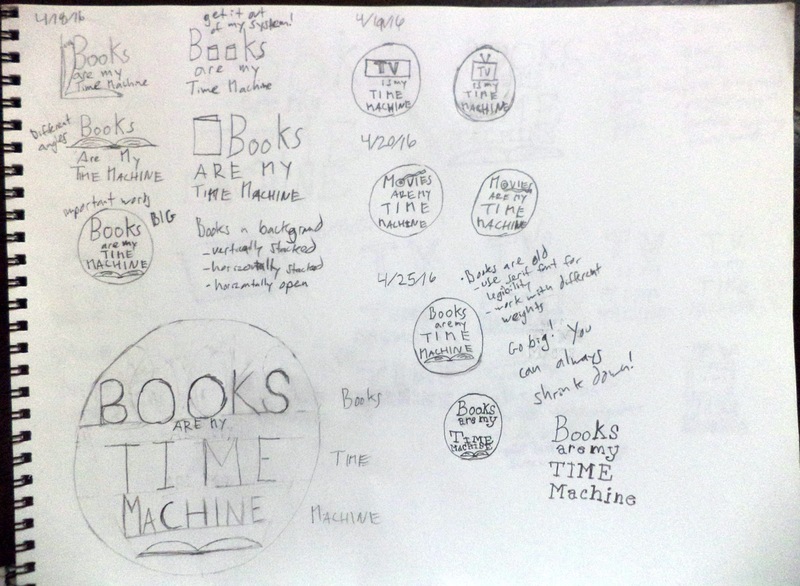 For my Books Are My Time Machine piece, I knew that I wanted to have the words “book” and “time machine” bigger than the rest. I knew that I wanted to have a book in the design as well. Try different iterations. Get everything out of your system. I tried with the book open. The book closed and propped up against the letters. The book open and the pages falling against the letters. 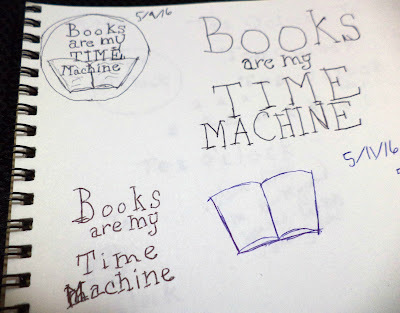 I tried using books as the O’s in the word “book” just to get it out of my system. Don't hold back! Nothing is wrong here. It’s doing to be crap sometimes and that’s okay. There may be pieces of it that you like. This is just to experiment and see what your brain comes up with. I take notes as I'm sketching so that I can remember what I was thinking in case I need to refer back to it for an article or a case study. Keep going until you feel like you have something that works well. Once you have decided on the final concept, it’s time to work on the final design before computer rendering. What do you do for your sketching sessions? What have you found works for you? What doesn't work for you? Email me at toni@normalnotfound.com to tell me.